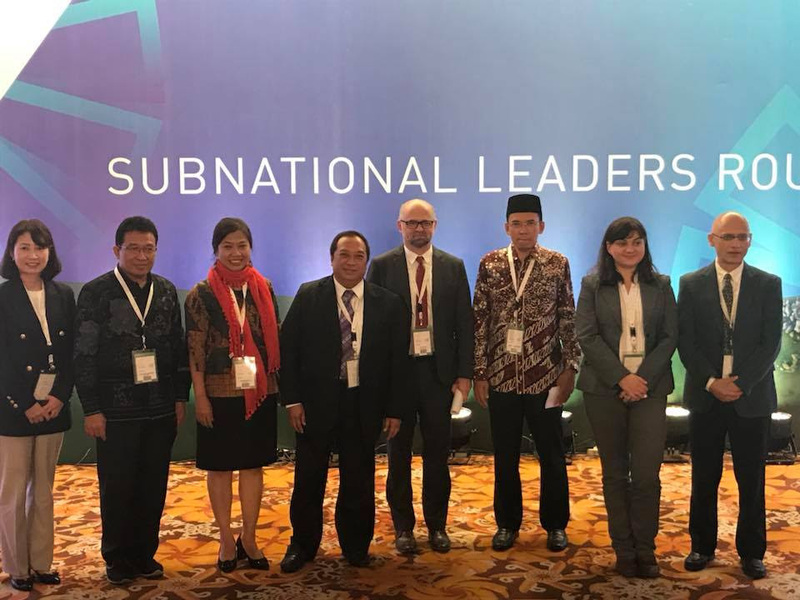 Bohol’s Open Governance model took center stage in this year’s ASIA PACIFIC LEADERS FORUM ON OPEN GOVERNMENT in Jakarta, Indonesia last December 14. The host country thru Indonesia’s Ministry of Planning invited Bohol Governor Edgar M. Chatto to speak on Sub National Open Governance and its impact to development taking the experience of Bohol province. Gov. Chatto’s name was among the list of nominated speakers evaluated by the organizing committee in Jakarta. His innovations in Open Government both in executive and legislative branches and the strong indorsement of the Philippine Government earned for him the slot to speak in the Forum attended by over 500 delegates from Asia Pacific countries. Also invited to speak in the Forum were DBM Secretary Ben Diokno, who spoke on Participatory Budgeting and COA Chairman Michael Aguinaldo who shared the Philippine experience in Transparency policies. The Philippine delegation was received warmly in Indonesia by Philippine Ambassador Maria Lumen B. Isleta and top officials of Liwayway Group of Companies owned by Amb. Carlos Chan, Richard Yu and Kyle Sy. The one day trip of Gov. 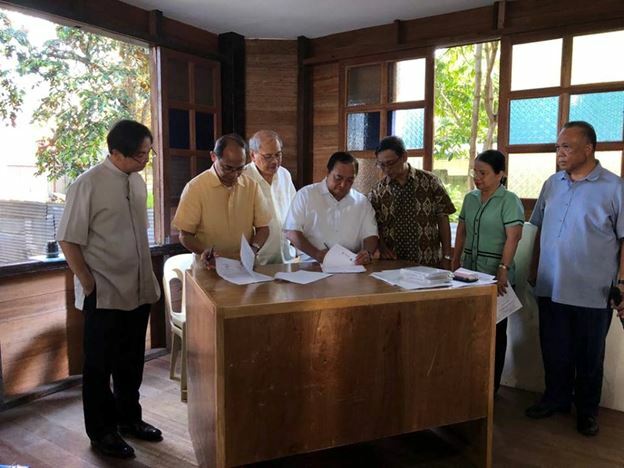 Chatto to Indonesia was his shortest foreign travel so far fully sponsored by the Indonesian government at no expense to the province of Bohol including that of his wife Balilihan Mayor Pureza Veloso Chatto who accompanied him. Two of Bohol’s tourism gems, Balicasag and Pamilacan Islands, now have power 24 hours a day, 7 days a week. Gov. Edgar Chatto and Panglao Mayor Nila Montero led switch on ceremony for 24/7 power in Balicasag Island on Monday. They were joined by NAPOCOR Department Manager Engr. Pete Llorente, BOHECO 1 General Manager Engr. Dino Roxas, Cong. Rene Relampagos represented here by Archie Lungay, 302nd IB Commander General Arnulfo Matanguihan, and Philippine Navy Col. Jorge Ibarra. On Tuesday, Chatto and Pamilacan Brgy. Capt. 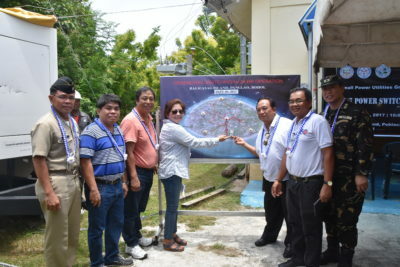 Crispo Valeroso led switch-on ceremony for 24/7 power operations in Pamilacan Island. They were joined by Baclayon Kagawad. Derwin Cuajao who represented Mayor Benny Uy, NAPOCOR department manager Engr. Pete Llorente, BOHECO 1 Engr. Mejorada Glenn Mejorada, Archie Lungay representing Cong. Rene Relampagos, and barangay officials of Pamilacan. 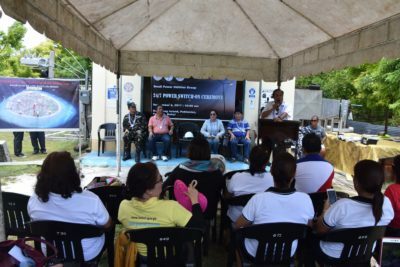 This kicks off 24/7 energization of Bohol Islands under the Small Power Utilities Group (SPUG) of NAPOCOR, a commitment of the Department of Energy under Sec. Al Cusi and NAPOCOR president Pio Benavidez. 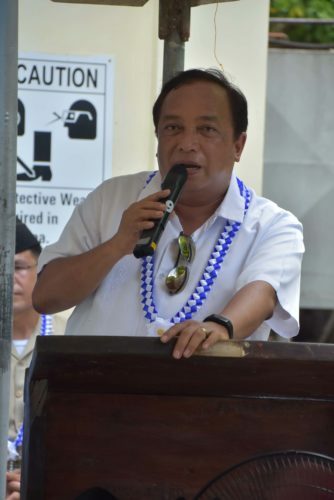 Chatto lobbied for the round the clock power supply for the islands during the 34-country Asian Cooperation Dialogue on sustainable and reliable power in Bohol in August, where Cusi himself visited both islands. After which, Benavidez directed Llorente to implement 24-hour electrical service to the two islands. When he was congressman of the first district, Chatto placed Cuaming and Hambongan in Inabanga; Mantata-o in Calape; Cabilao in Loon; Balicasag, Panglao; Pamilacan, Baclayon; and Bag-ong Banwa, Batasan, Bilanglangan, Mocaboc, Pangapasan, and Ubay in Tubigon under NAPOCOR-SPUG, the switch on for which was during his birthday, February 21, 2008 in Cabilao. The incorporation of the twelve islands in the missionary electrification program of NPC-SPUG, entitled electricity consumers in the islands to financial support from the Universal Charge for Missionary Electrification (UC-ME) pursuant to R.A. 9136 or the Electric Power Industry Reform Act, commonly called the EPIRA Law, where the assistance to consumers shall come via NPC-SPUG’s sale of electricity at a subsidized rate. This significantly brought electricity cost way below P25/kWh rate. 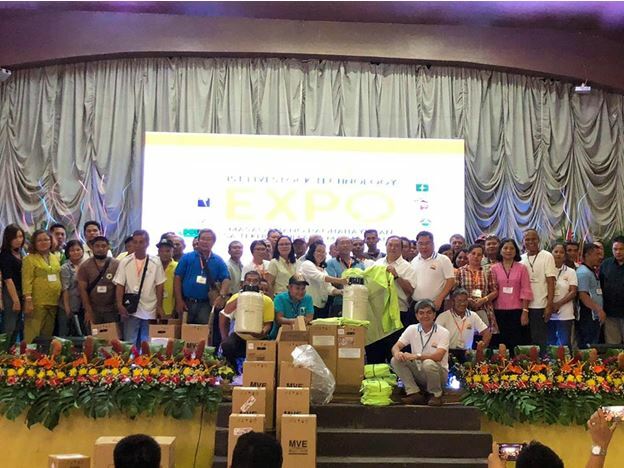 For residents of Balicasag and Pamilacan Islands, round the clock power is a fulfillment of a long-time dream, expressing their gratitude to Chatto and NAPOCOR team. Chatto and NAPOCOR-SPUG officials are mapping out what islands to be fully energized next. Llorente bared NAPOCOR-SPUG is eyeing the same for islands of Bilang-Bilangan Dako, Bilang-Bilangan Diot, Hingutanan East and Hingutanan West, Malingin, Maomawan, and Sagasa in Bien Unido as well as Cataban in Talibon for 2018. The Province of Bohol through the Bohol Tourism Office conducted of Bohol’s first ever “Coastal-wide Dive Forum” on August 11, 2017 at Bohol Plaza Resort, Dayo Hill, Dauis, Bohol. 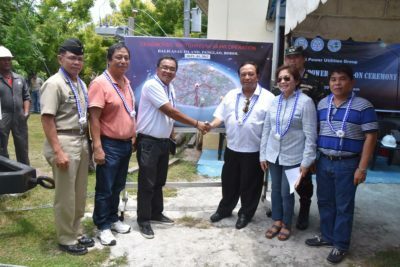 The forum was in partnership with the Bohol Provincial Tourism Council (PTC), Inc. and the Panglao Association of Dive Operators (PADO) has taken new steps in its efforts for sustainable tourism development. LGU environment and tourism officers, representatives of Municipal and Provincial Tourism Councils, headed by Atty. Lucas M. Nunag, scientists, national agency representatives from the Department of Tourism, Department of Environment and Natural Resources, Philippine Coast Guard, PNP Tourist Police and employees of the provincial government attended the forum. 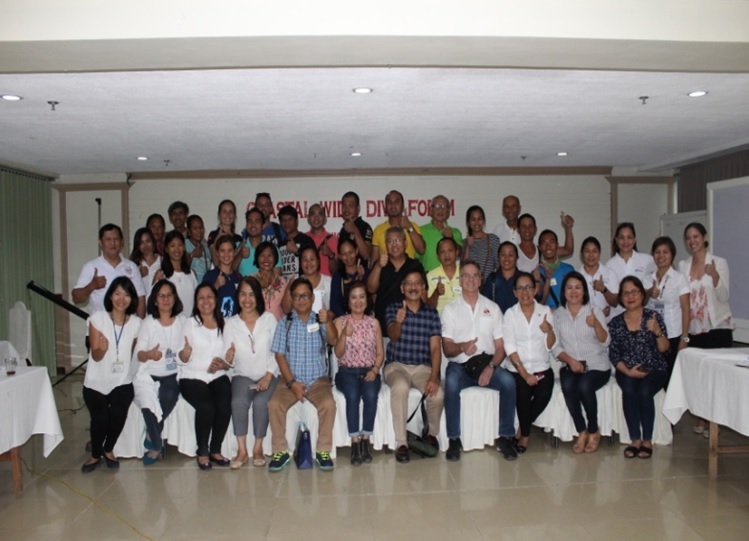 Also present and facilitated the workshop, were private sector stakeholders many of whom are dive operators all over the province, hotel and resort owners, business groups and individuals advocates for Bohol’s sustainable environment and inclusivity of business practices. Jo Cabarrus, Head of the Bohol Tourism Office welcomed the participants and gave the forum’s statement of purpose. Atty. Mitchell John Boiser, Acting Provincial Administrator and the Provincial Legal Officer in behalf of the Governor speaks of the forum as timely, considering that the diving industry in our province is flourishing with the influx of tourists who come to Bohol to experience one of the best dive sites in the country. Aside from Balicasag being famous as a world-class dive spot, there are other sites like Cabilao, Anda, Jagna and many more that offer the same exhilarating experience. He emphasized that the diving industry and the community need to be conscientious in creating balance between tourism development and ecological preservation and that government needs to lay down the rules and implement them and for stakeholders and implementers to follow such enactments. The forum aimed to instill the importance of marine resource conservation for environmental sustainability and formulate appropriate legislations thereto; raised issues and concerns besieging the diving industry. In the workshop conducted, strategies were generated for the development of a uniform marine life protection policies and standards by all MLGUs and ensure that players in the industry comply with such diving industry operations. 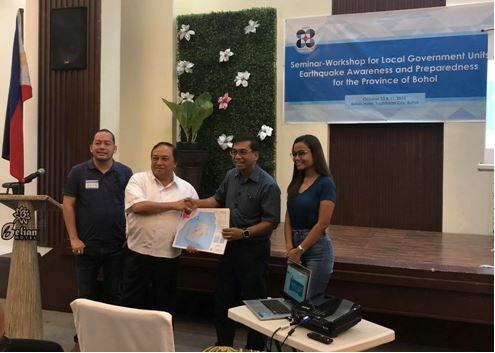 “Protecting the resources in the coastal vicinity of Bohol is a shared responsibility between and among LGUs, local communities, NGOs and private sector. If the marine resources are properly managed, sustainable economies will last not only in this generation but also unto the future.”, according to Neil Antoque, a Marine Biologist and Coastal Extension Officer of DENR Bohol, who gave an input on the Science of Coral Reef Ecosystem, its Relationship to the Diving Industry and The Relevant Enabling Policies, Rules and Regulations in Marine Conservation for Livelihood Development. As best practice model in diving operation, Mr. Holger Horn, President of PADO, shared the Status/Profile of the Diving Industry in Panglao and their Efforts to Save Panglao Dive Sites for Sustainability. On the part of government, Panglao, Coastal Resource Management Officer (CRMO), Darwin Menorias, presented the CRM Initiatives in Marine Conservation vis-à-vis Diving Industry Operations. The following next steps were noted down: (1) Creation of a Technical Working Group (TWG) for a future Bohol Dive Expo; (2) a unified ordinance/legislation (relative to marine conservation, diving regulations and incorporation of diving policies in the Bohol Tourism Code), (3) a Position Paper to DOT so strengthen PCSSD/to establish Regional Offices to facilitate accreditation applications and (4) the establishment of a community-based monitoring task force. Ms. Liza Quirog, Chief of Staff of the Office of the Governor and Head of the SEEM Cluster, a dive enthusiast and a conservationist at heart, in her closing statements, remarked, that “in order to make our aspirations happen, we can only depend and raise our expectations on the things that we can control. Let us not expect or put to task people who or agencies which are not under our control. For we can only make sure that things are done because WE CAN DO it ourselves or that the agencies or personalities that are mandated to do them are under our systems; either of the Philippine government or under our community’s influence”. The workshop closed with the signing of the Commitment- ‘to act collectively to conserve and sustainably use our seas, coasts and marine resources for sustainable development’, by all the participants.